With recent findings of Cleopatra and her sister Arsinoe’s bones, and other research that closely analyze the possible ethnicity of the ancient Egyptian beauty queen, there’s not really any need to continue to question if Cleopatra was a black woman. It’s clear that she was indeed of African decent. Still, several reports are confirming that Angelina Jolie, who is white, is set to play the role of Cleopatra in an upcoming film by Oscar-winning producer Scott Rudin. The project is based on Pulitzer Prize-winning biographer Stacy Schiff’s new book, Cleopatra: A Life. In Paul Mooney’s classic “RACE” comedy album, he talks about Cleopatra being falsely portrayed as a white woman in Hollywood movies, when she’s an African queen. For a long time (and to this day), racist Hollywood likes to make movies based on historical people such as Genghis Khan, or fictional anime heroes like Dragon Ball and use white people to replace the original skin colors. Cleopatra was part of the Ptolemaic Dynasty, the last ruling dynasty of Egypt, which was Greek. This is because 300 years before, the Macedonians under Alexander the Great conquered Egypt and one of Alexander’s generals, Ptolemy, ruled Egypt. Ptolemy was Greek, and therefore his descendants, including Cleopatra, were Greek, not Egyptian. 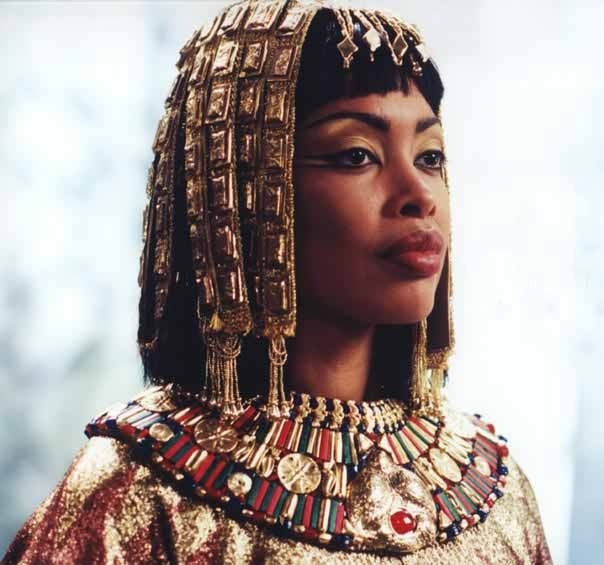 Cleopatra was not black. Not even close to being black.